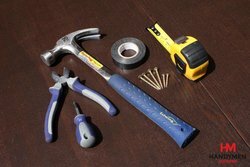 Say goodbye to the stress of not knowing who you're hiring, and hello to a fully vetted and insured handyman Chelsea , with Handymen Supreme. You'll get your appointment set up for the time you need it completely stress-free - we operate seven days a week and are standing by 24/7 waiting to hear from you. In case you want to find out what previous customers think about us, visit our testimonials page. Our customers love us due to our professionalism and attention to details. Because we cover all postcodes and wards in the local borough, you can always count on us for the expertise you need. Got a leaking pipe or electrical fault? Planning some home improvement or decorating? Need some repairs fast? Get calling now! Clear pricing ensures that you always know where you stand! Odd Jobs - get your home or office back to perfect working order with our odd jobs option. It's performed by trained and experienced specialists. Furniture Assembly - choose either only swift and efficient assembly, or add hassle-free furniture repair to your service for complete relaxation! Interior Painting - get high quality home improvement for a single room or your entire property, or count on our expertise for crack filling and touch ups. The Chelsea decorators we work with are highly trained and qualified! Our painting and decorating Chelsea services are all you need! TV Wall Mounting - perfect for all heavy equipment that you want to mount on a wall, like speakers, amplifiers, and surround systems as well as TVs. For instance, you can request a home cinema installation Chelsea service from us! Hanging and Fitting - hang, fit, and secure any sort of railings and shelves, and correctly and safely hang objects like pictures and mirrors. Wondering who our services are most suitable for? Well, we've worked with home owners, business owners and managers, estate agencies, landlords and tenants across the local area. As long as you're in need of high quality handyman services in Chelsea, this is the team you need. We provide hourly-based services that ensure you're only ever paying for the actual work you need to do. Plus, all of your work is covered by comprehensive insurance protection. Get a Convenient Service - Only a Phone Call Away! Call 020 3746 5607 today and get your appointment arranged in about five minutes flat. Our advisers are ready and waiting to hear from you, and keep our phone lines open and staffed around the clock, 24/7. We can also be contacted quickly online, via our booking form and chat facility. However you choose to get in touch, make sure you're ready to give us all of the details you can so that we can send a handy man Chelsea to your door! Chelsea is the site of a large number of institutions dedicated to learning, as well as whole slew of museums and art galleries. These include the Victoria and Albert Museum, the Science Museum, the Royal Colleges of Art and Music, and the Royal Geographical society, amongst many others! The combined population of the Royal Borough of Kensington and Chelsea is about 160,000.